If you can read Japanese..
Love the design on the 'window'! 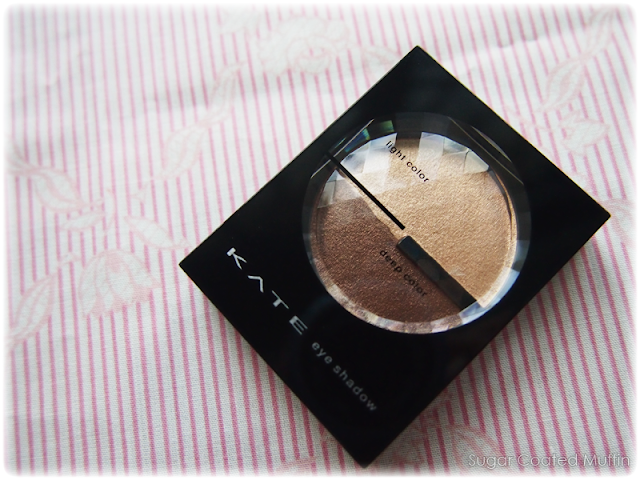 I realize all of the Kate cosmetics have this expensive look and I love it. 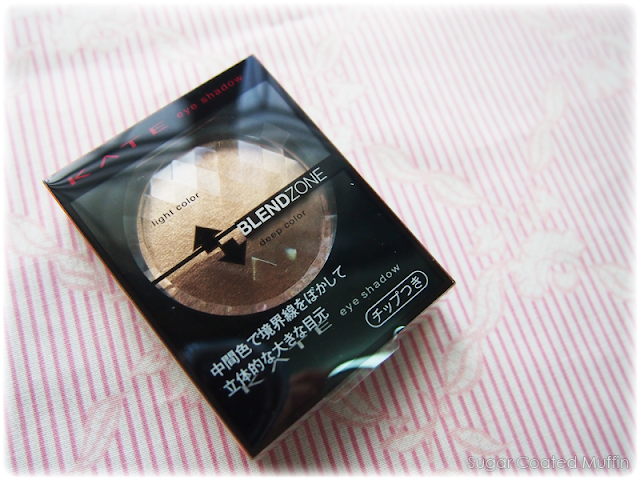 Comes with 2 colours - light and deep, which are meant to overlap and be blended on your lids (as shown on the back of the packaging earlier). 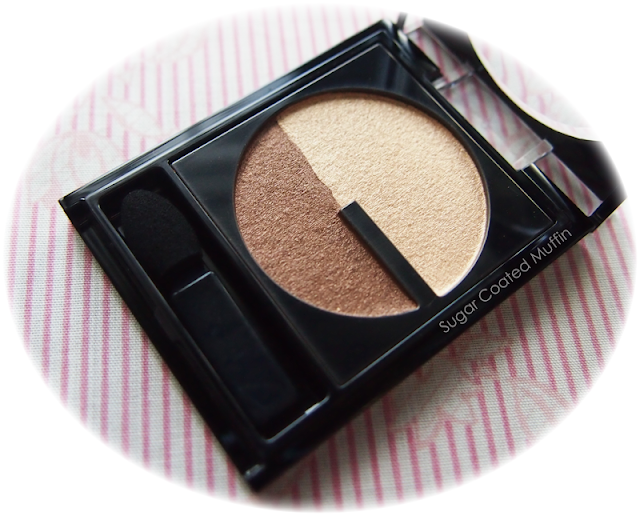 You can also blend both colours together in the pan for a 3rd shade! Can you believe this swatch is without a primer???! 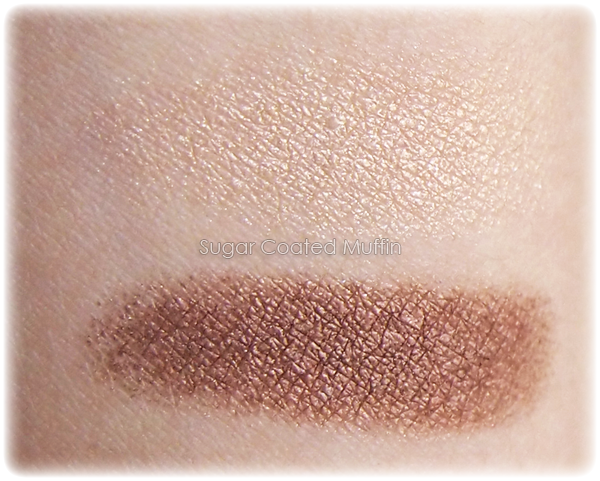 The eyeshadow is SO pigmented and applies silky smooth. I'm really impressed. Apply light colour all over lid and deep either near your lash line or on the outer half. 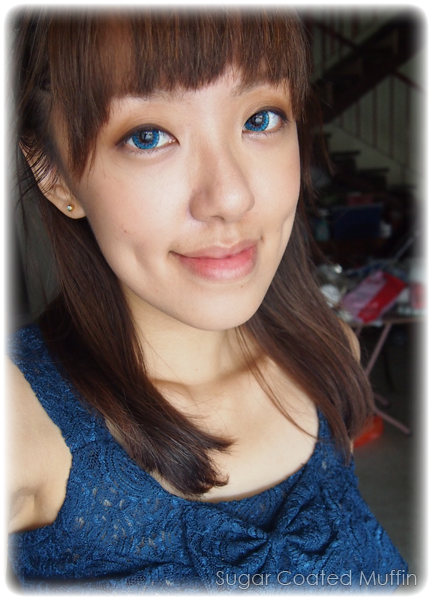 Brown is really easy to use and it shapes your eyes effortlessly. 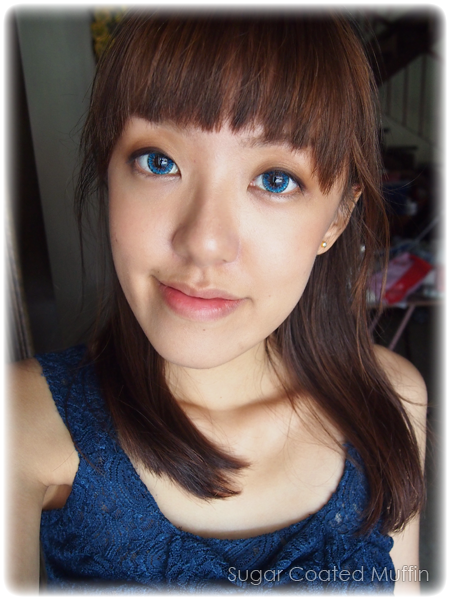 Pair with brown eyeliner for a natural look! Love how it's not just a dull matte brown but a shimmery one! I can see myself using this often, especially on days when I'm in a rush. I've also tested it out and the colour stays all day long.. 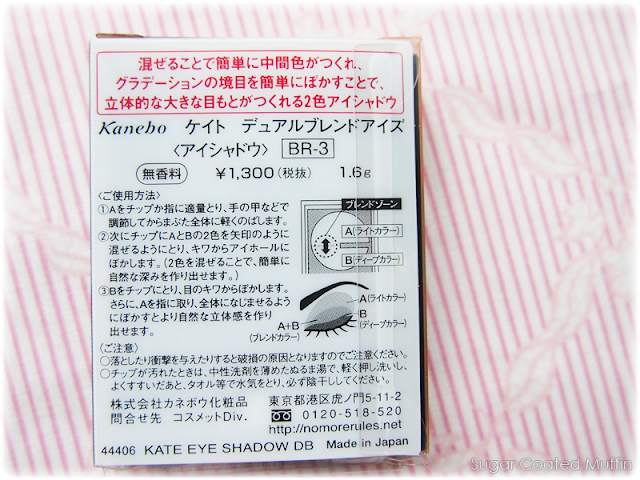 Yet another superb product by Kanebo! So niceeee :) shud buy one for myself hehehe isabel, what kind of camera do u use?